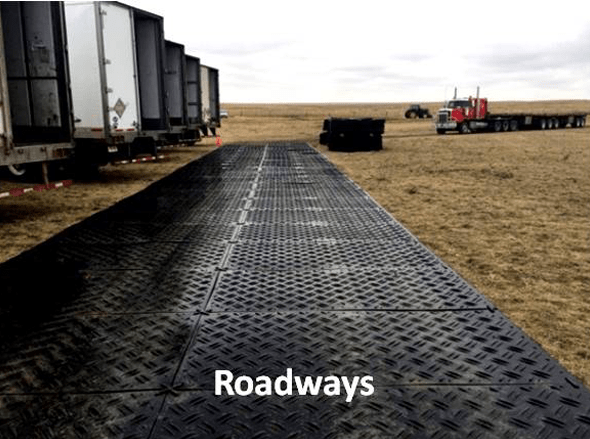 Little Guy’s DuraDeck is for applications where a rugged tread design is or may at one point be desired but where pedestrians may also be found. 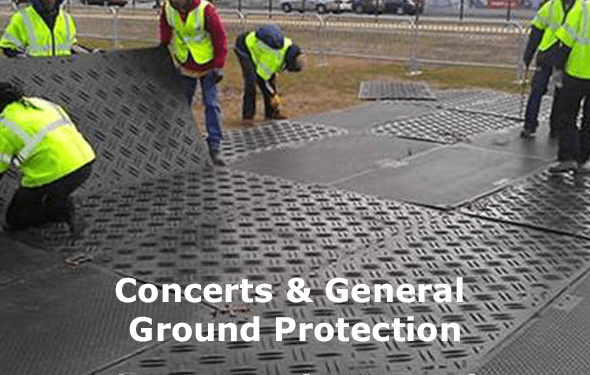 Each sheet consists of a standard rugged traction design one side and pedestrian friendly, non-slip tread design on the other. Sections are reversible and can be used with either side face up. 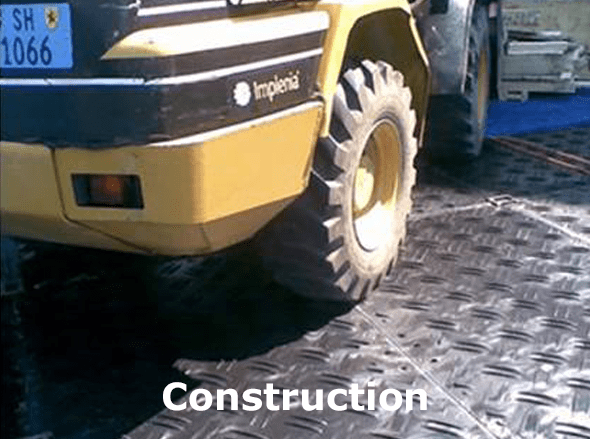 When facing up, the pedestrian friendly surface still offers traction for vehicles and equipment, while the rugged down-facing side provides additional mat traction to the ground, preventing mat slippage or “spin out”. 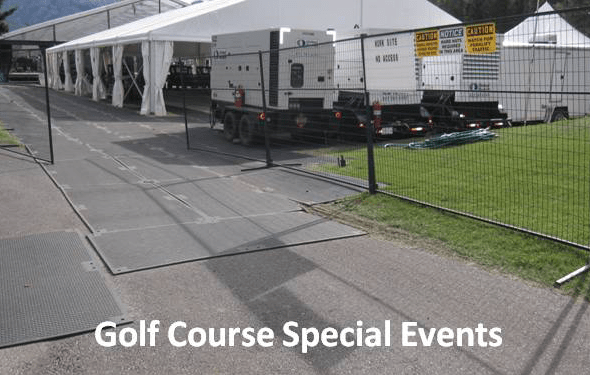 Each DuraDeck sheet weighs 39 kgs (86 lbs) and can be moved into place manually if required. Up to 500 sheets can be transported on a standard tractor trailer. 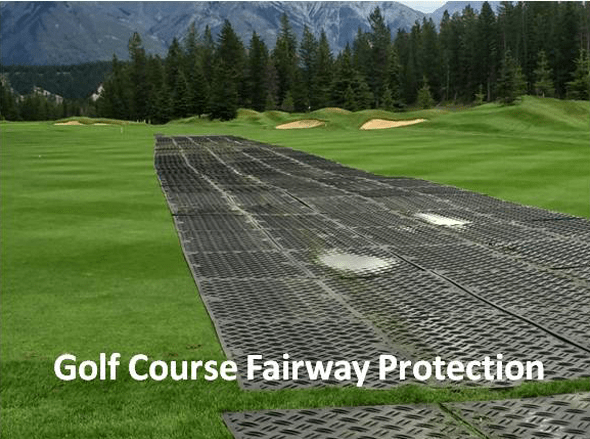 Each mat has connection holes at each corner and in the middle of the 8’ side allowing panels to be connected side-by-side or at 90-degree angles to each other. 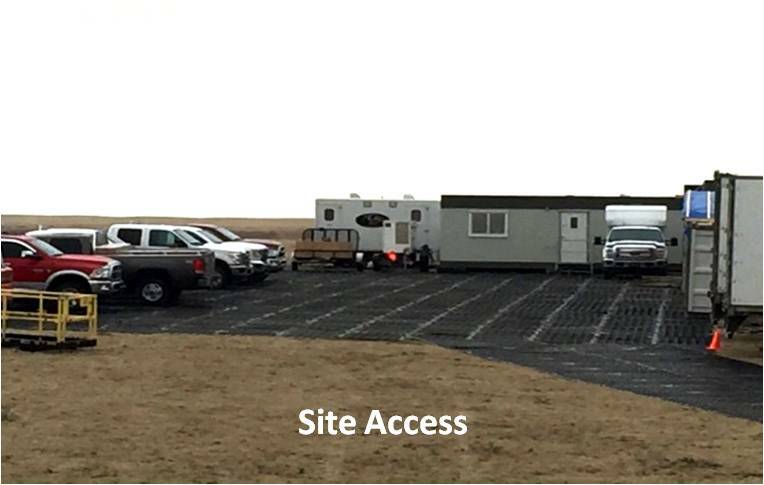 Depending on the ground surface and density of the sub-surface, DuraDeck can be used to provide access for vehicles & equipment up to 80 tons. DuraDeck will not warp, rot, crack or delaminate.